Post-it® Notes in 76 x 123mm size gives you wider spaces for longer messages. Marseille Collection showcases inspired pastels to give you more flexibility with your creativity. 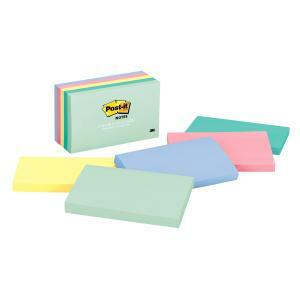 All Post-it® Notes are recyclable. The paper in Post-it® Notes is sourced from certified, renewable and responsibly managed forests.